Associate Professor Gunnar Köhlin is working at the Environmental Economics Unit (within the Department of Economics), being its Director since 2007. Dr. Köhlin has been involved in much India related research, mainly in Orissa. Since 1991, he has been coordinating institutional collaboration between Sida and the Environmental Economics Unit concerning Environmental Economics and Development, and since 1997 been coordinator for the Sida-supported PhD program in environmental economics at Göteborg University. More information on Dr. Köhlin’s personal web page. – Gundimeda, H. and G. Köhlin (2008), ‘Fuel demand elasticities for energy and environmental policies: Indian sample survey evidence’, Energy Economics, 30/2: 517-546. – Gupta, G. and G. Köhlin (2006), ‘Preferences for domestic fuel: Analysis with socio-economics factors and rankings in Kolkata, India‘, in Ecological Economics, Vol. 57/1 pp 107-121. – Köhlin, G. and G. S. Amacher (2005), ‘Welfare Implications of Community Forest Plantations in Developing Countries: The Orissa Social Forestry Project‘, in American Journal of Agricultural Economics, 87(4):855-869. – Köhlin, G. and P. J. Parks (2001), ‘Spatial Variability and Disincentives to Harvest: Deforestation and Fuelwood Collection in South Asia‘, in Land Economics, 77 (2): 206-218. – Köhlin, G. and M. Ostwald (2001), ‘Impact of plantations on forest use and forest status in Orissa, India”, in Ambio, Vol. 30:1. – Köhlin, G. (2001), ‘Contingent valuation in project planning and evaluation – The case of Social Forestry in Orissa, India‘, in Environment and Development Economics, 6:237-258. Professor Arne Bigsten is mainly doing research related to Africa, but is also doing comparative studies involving India. Since 2009, he is also Director for Gothenburg Centre of Globalization and Development. 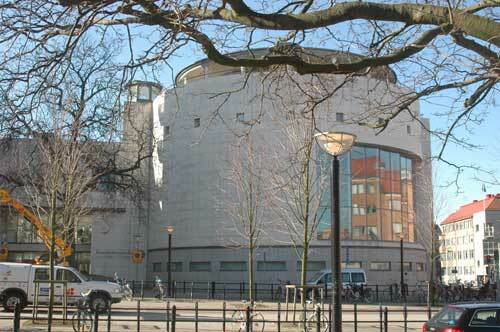 The Centre was created to develop research on globalization, which the University of Gothenburg has identified as a priority research area. The Centre is an interdisciplinary organization with participation from several faculties at the university. In 2003, he spent some time as a visiting scholar at the Indian Development Foundation in New Delhi. In October 2011, Sida’s (Swedish International Development Cooperation Agency) U-landsforskningsråd decided to award Professor Bigsten with SEK 2.4 m for a three years (2012-14) project entitled ”Fiscal Capacity and Democracy in Developing Countries” with focus on India and Kenya. Abstract: This project aims to fill the gap in the development economics literature by exploring the casual links between fiscal capacity and democracy in developing countries. To understand the relevant mechanism, the researchers in this research programme will study how these links are affected by natural disasters and foreign aid. A set of studies at the cross-country, sub-national (in Kenya and India), and the household level (using public opinion surveys) will be conducted. This allows assessment of the research questions at the appropriate level of aggregation, using methods such as instrumental variables estimations and dynamic panel data regressions. Capacity and democracy are expected to depend on and reinforce each other; and that the effect of aid-for-democratization may hinge on aid-for-fiscal capacity, and vice versa. The results from this project could lead to a re-evaluation of current aid development strategies. On 4 November 2014, Associate Senior Lecturer Heather Congdon Fors at the Development Economics Unit within the Department of Economics was granted a development research grant from the Swedish Research Council (total amount SEK 2.070 m in three years, 2015-17) for a project entitled Child labor and school attendance in India. This project has three broad areas of focus: the role of market imperfections in the decision to send a child to work or to school, the impact of a compulsory schooling law on child labor and school enrollment, and an understanding the medium-run effects of child labor participation on outcomes such as education, household income and health. While both theoretical and empirical models will be utilized, the primary focus of this project is empirical. The data come from a large, representative panel of households in India, namely the IHDS-I and IHDS-II. This project will contribute to the literature by expanding the current understanding of how credit market imperfections interact with land and labor market imperfections in child labor and schooling decisions, by conducting a rigorous evaluation of the compulsory schooling law, and by adding to the research on the effects of child labor on future outcomes. The analysis will include a group of children that are often excluded from similar research, namely children involved in own household domestic work. This has important gender ramifications, as this category is dominated by girls. Further, the research into the role of household composition on child activities has a strong gender component. A deeper understanding of the factors that contribute to the choice of child activity, and the effects of policies aimed at increasing school attendance are crucial to the aim of eliminating child labor and achieving universal literacy. On 12 March 2008, Dr. Farzana Munshi from Dhaka, Bangladesh, defended her doctoral dissertation at the department. The thesis was entitled ”Essays on Globalization and Occupational Wages”. The discussant was Associate Professor Karolina Ekholm, Department of Economics, Stockholm University. The thesis evaluates empirically how globalization has affected occupational wages in both developing and developed countries. Three aspects of globalization – openness to trade, openness to capital and offshore-outsourcing – are examined in four self-contained essays. The first two essays evaluate the effects of increased trade liberalization on the wage gaps between skilled and unskilled workers in the Bangladesh manufacturing sector. The third and the fourth essays analyze the effects of globalization on occupational wages in both developing and developed countries. More information, with link to full-text thesis. Dr. Munshi has now returned to Bangladesh, and joined the Dept. of Economics and Social Sciences, BRAC University in Dhaka as Assistant Professor in 2009. Earlier, in 2006, Farzana Munshi published her Licentiate thesis as a paper in the department’s Working Papers in Economics series No. 241. It was entitled ”Does openness reduce wage inequality in developing countries? A panel data analysis”. The thesis provided panel data evidence on trade liberalization and wage inequality in Bangladesh, using several standard econometric models, wage equations for skilled and unskilled workers in the formal manufacturing sector are estimated for the 1975-2002 period. The results, particularly the estimates from a dynamic fixed effects model, provide some weak evidence that openness contributes to a reduction in wage inequality between skilled and unskilled workers. The results also indicate that real wages of both unskilled and skilled workers increased during the period. Read the full working paper. Farzana has been a consultant to the World Bank. Farzana coordinated the international conference titled “Globalization and Trade; Prospects and Challenges for South Asia” in 2013 and currently editing a book comprising the conference papers. Minhaj Mahmud defended his doctoral dissertation titled ”Measuring Trust and the Value of Statistical Lives: Evidence from Bangladesh” on 1 April 2005. The thesis deals with the concept of trust, decreased significantly as the stake size was increased in a trust game conducted in rural Bangladesh. It includes five self-contained essays. The first three essays relate to the measurement of trust using both an experimental and a survey approach, and the other two essays relate to the measurement of the value of (statistical) life using stated preference methods. Read the abstract. Since October 2006, Dr. Mahmud, originally from Bangladesh (Jahangirnagar University), is working at the School of Biological Science at Queen’s University in Belfast, Northern Ireland, as lecturer in Environmental Economics. No 140: ”Does stake size matter in trust games?”. Abstract: In a trust game conducted in rural Bangladesh, the proportion of money sent decreased significantly with the stake size. Still, even with very large stakes few followed the conventional economic prediction and sent nothing. No 166: ”Trust, Trust Games and Stated Trust: Evidence from Rural Bangladesh”. Abstract: Levels of trust are measured by asking standard survey questions on trust and by observing the behaviour in a trust game using a random sample in rural Bangladesh. Follow-up questions and correlations between the sent amount in the trust game and stated expectations reveal that the amount sent in the trust game is a weak measure of trust. The fear of future punishment, either within or after this life, for not being sufficiently generous to others, was the most frequently stated motive behind the respondents’ behaviour, highlighting the potential importance of motives that cannot be inferred directly from people’s behaviour. No 167: ”Trust and Religion: Experimental Evidence from Bangladesh”. Abstract: Trust is measured using both survey questions and a standard trust experiment using a random sample of individuals in rural Bangladesh. We found no significant effect of the social distance between Hindus and Muslims in the trust experiment in terms of fractions sent or returned, but the responses to the survey questions indicate significant differences: Hindus, the minority, trust other people less in general, and Hindus trust Muslims more than the other way around. A couple of years ago, Peter Martinsson spent some months in India and made a study on social inequality. This may result in a number of working papers. Currently, he is involved in research about the concept of happiness. Since Bhutan and its former king Jigme Singye Wangchuck has evolved an alternative development index named Gross National Happiness (instead of the traditional GNP), this might become an object for Martinsson’s research. Prof. Johansson-Stenman has also carried out studies on social inequality in India. Together with Fredrik Carlsson (also at the department) and Gautam Gupta from the Dept. of Economics, Jadavpur University, Kolkata, India, he published an article in the magazine Applied Economics Letters in 2002, titled ‘Choosing from Behind a Veil of Ignorance in India’. It was also published a sa working paper at the department. More information. Carlsson, Fredrik, Gautam Gupta and Olof Johansson-Stenman “Keeping up with the Vaishias: Caste and relative standing“, Oxford Economic Papers, forthcoming. Carlsson, Fredrik, Gautam Gupta and Olof Johansson-Stenman (2003) “Choosing from behind a veil of ignorance in India”, Applied Economics Letters, 2003, 10, 825-27.